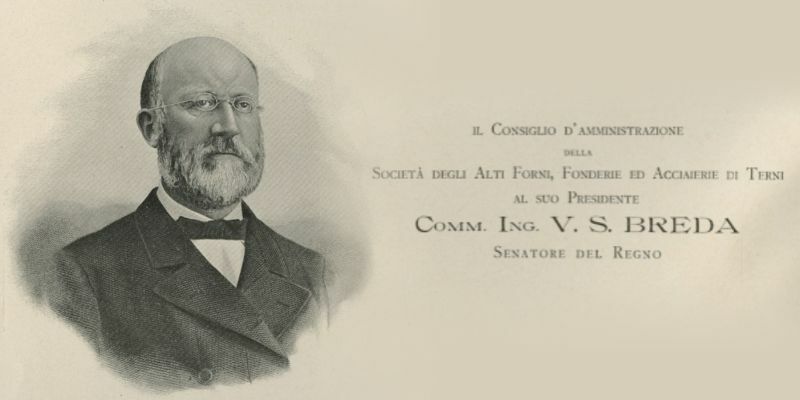 10 March, 1884, the Venetian businessman, Vincenzo Stefano Breda, founded the Società Alti Forni, Fonderie e Acciaierie di Terni (SAFFAT ), the first major Italian steel company. 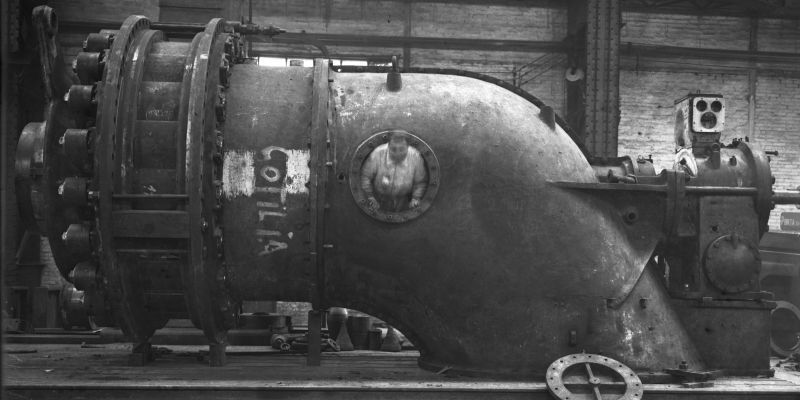 An industrial plant, with the most advanced technology for that time, producing high-quality steel destined for the manufacture of war material. 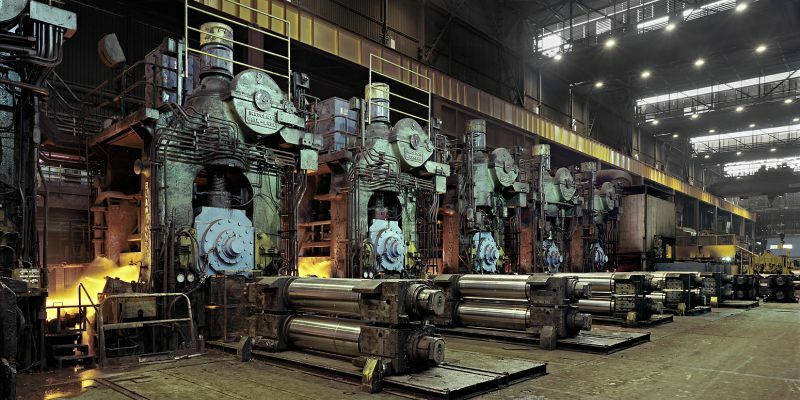 The furnaces in the steelworks are lit for the first time: five Martin-Siemens furnaces are installed for the production of special steel. 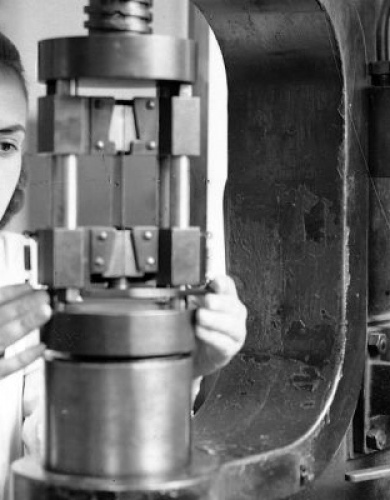 The company is the first in Italy to use these systems. 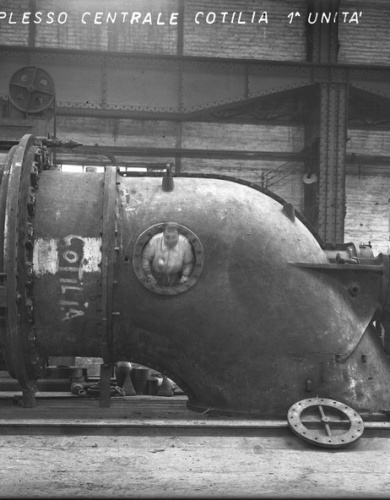 On May 14, production of railway tracks begins in the presence of Prince Thomas of Savoy. 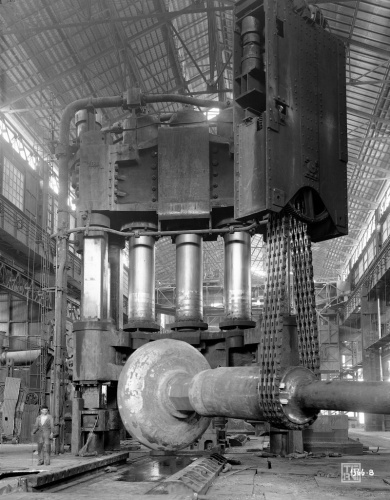 The 108-ton “Grande Maglio” gets under way in the forging department, the largest forging machine in the world. 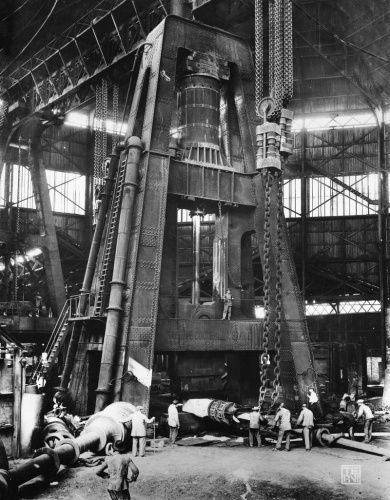 The 108-ton “Grande Maglio” gets under way in the forging department, the largest forging machine in the world. 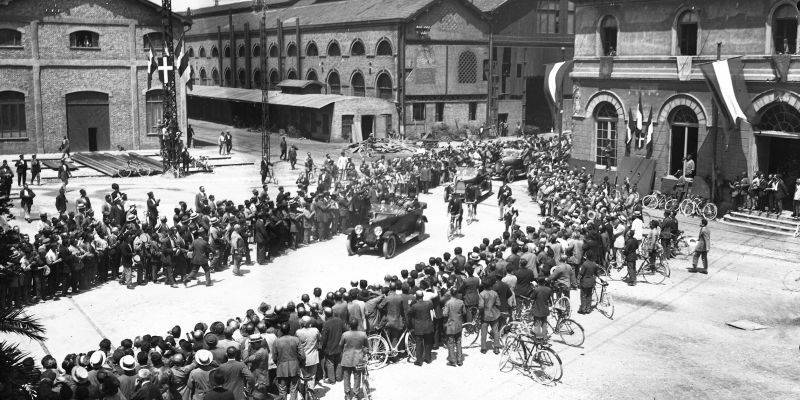 On July 12, King Umberto I visits the facility and watches the melting of an 80-ton steel ingot. 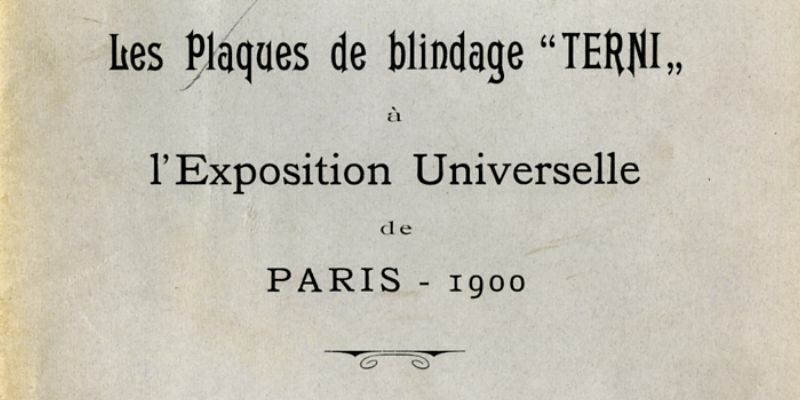 The company takes part in the Paris Universal Exhibition and wins two Grand Prizes and a gold medal. 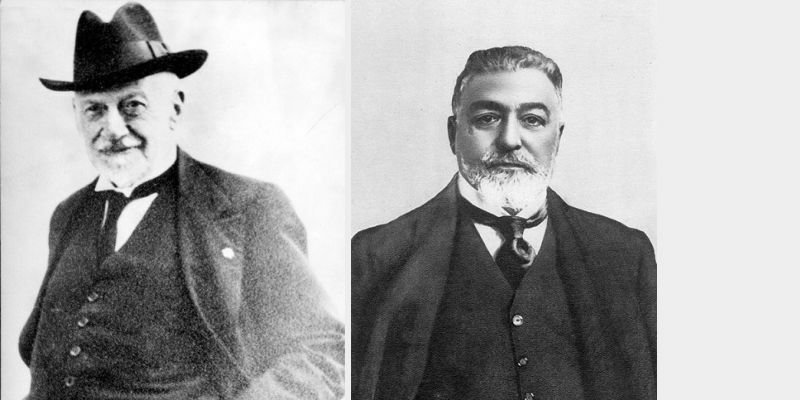 After the death of Breda (1903), the company passes into the hands of the ship builders, Attilio Odero and Giuseppe Orlando, marking the integration of steel production in Terni with shipbuilding. 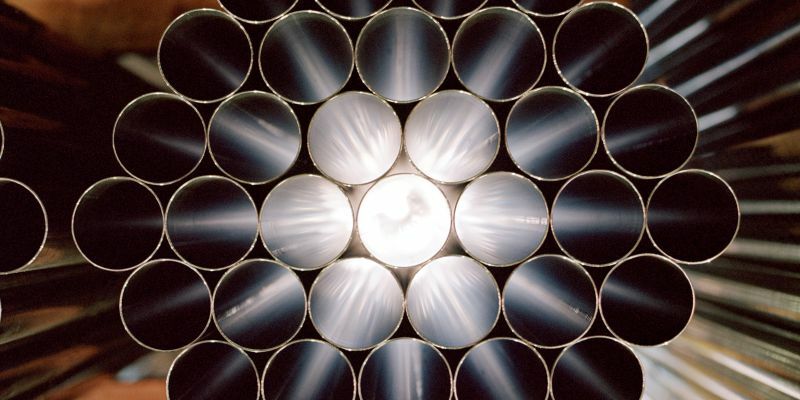 The Board of Directors authorises the implementation of a new industrial programme which includes the expansion and modernisation of the production plants. 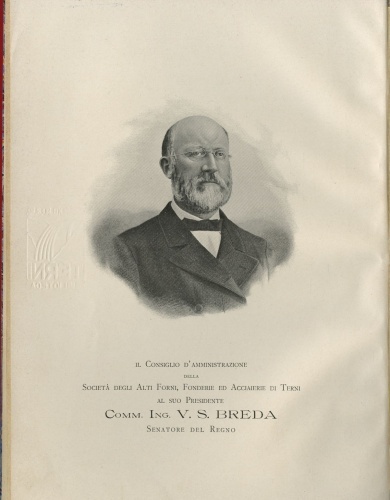 After the death of Breda (1903), the company passes into the hands of the ship builders, Attilio Odero and Giuseppe Orlando, marking the integration of steel production in Terni with shipbuilding. 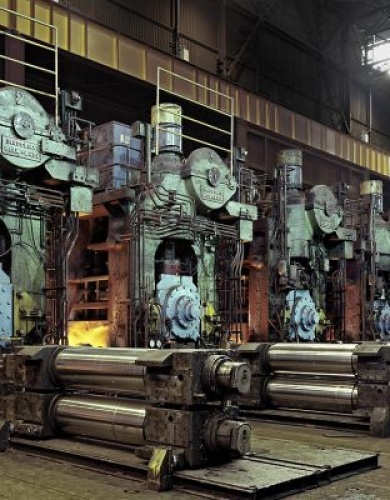 The Board of Directors authorises the implementation of a new industrial programme which includes the expansion and modernisation of the production plants. 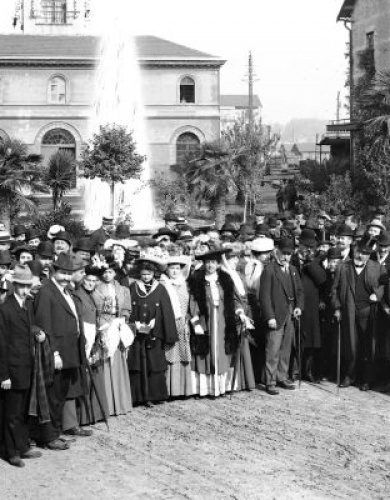 Visit to the facility by the delegates of the First Congress of Italians Abroad. 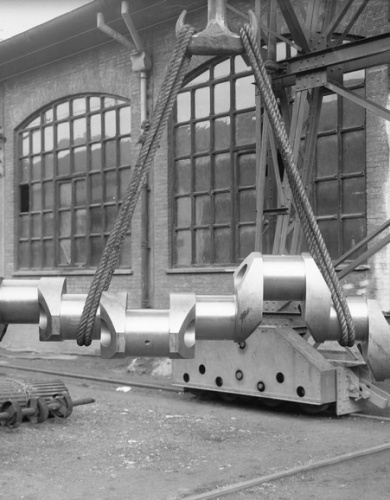 A new steelworks (Martin2) is built destined mainly for manufacturing special steel for armour and thick steel plates. 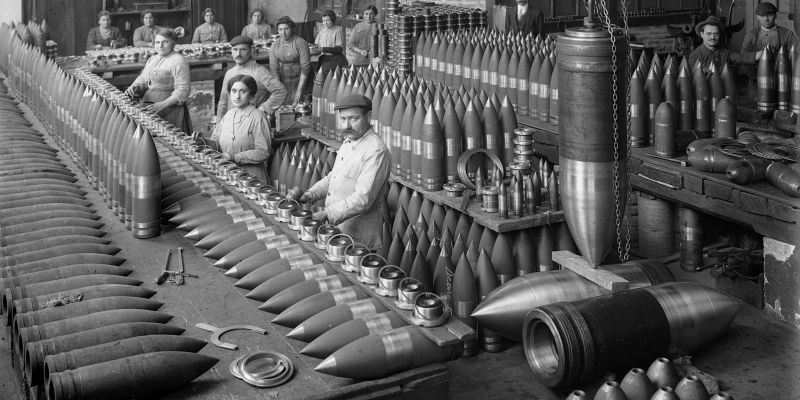 The First World War breaks out and the company responds to the growing demand for war material by reorganising its facilities to triple production. 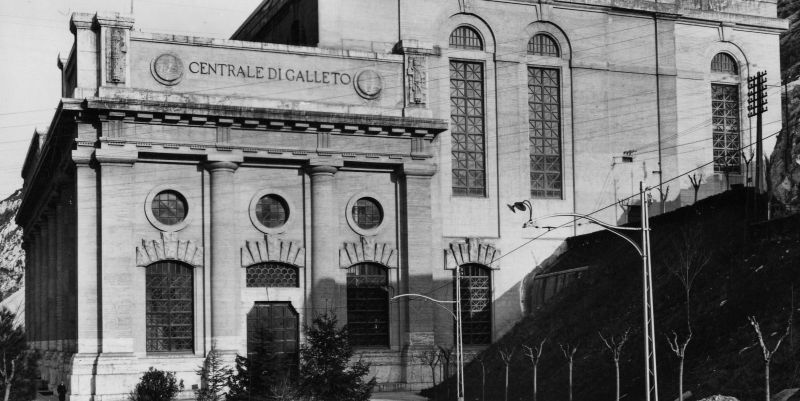 The company changes its name to “Terni Società per l’Industria e l’Elettricità”, transforming itself into a multi-sector, electric-steel-chemical entity, acquiring the “Società Italiana per il Carburo di Calcio e Acetilene e Altri Gas” and, with it, the hydroelectric and electrochemical plants. 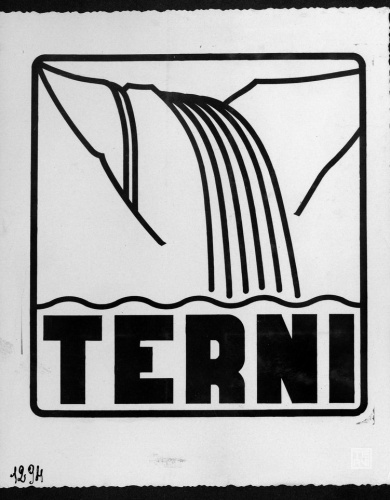 The company logo is formed by the outline of a waterfall with the word “Terni” above. 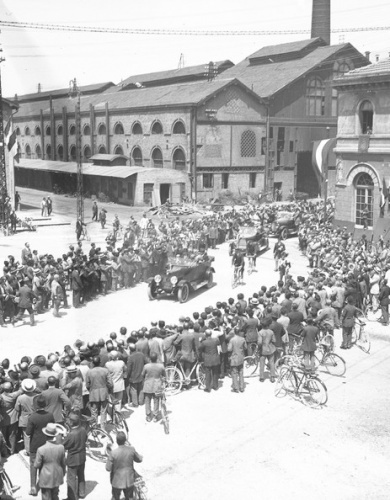 King Victor Emmanuel III visits the facility. 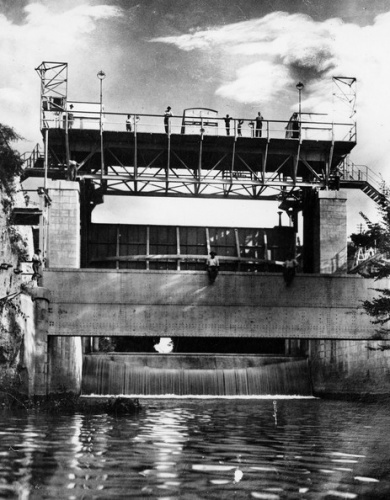 The company builds a mobile dam which blocks the flow of the river Velino, allowing the Lago di Piediluco to be used as a reservoir for the production of electricity. 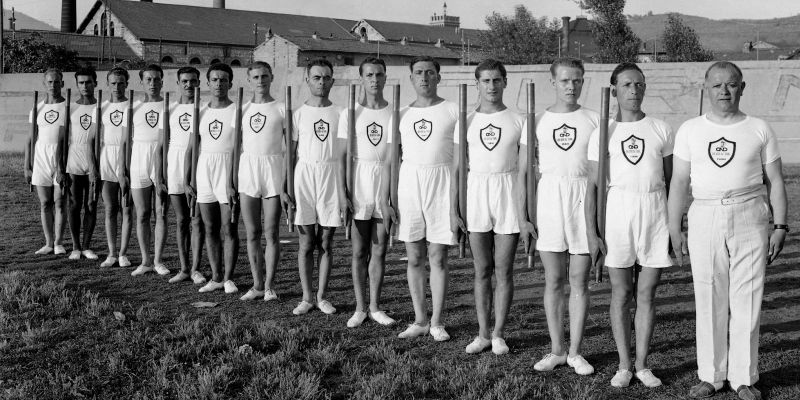 The company sets up the corporate recreational association which organises employees’ free time with sports and recreational activities. 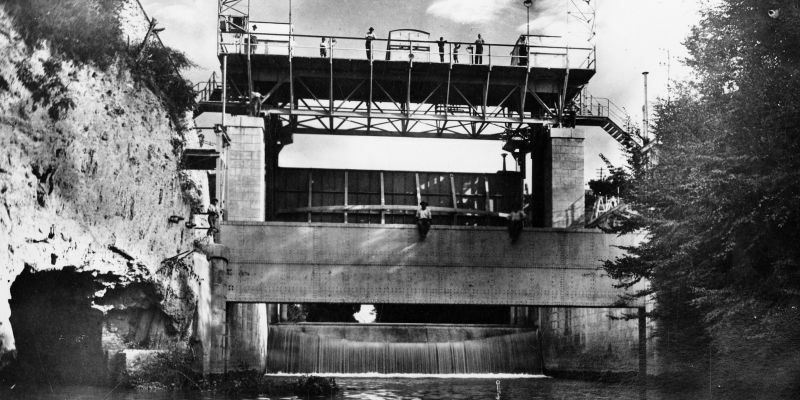 The Galleto hydroelectric plant is opened. 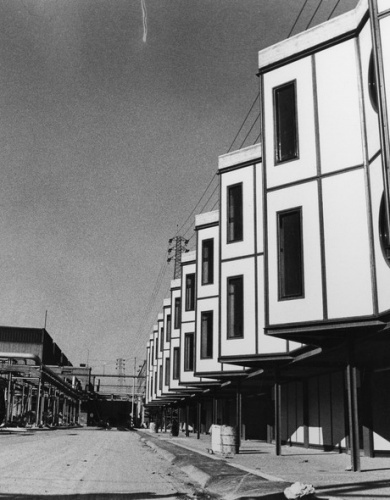 The “Istituto di Ricostruzione Industriale” (IRI- Institute for Industrial Reconstruction) takes over financial control of the company. 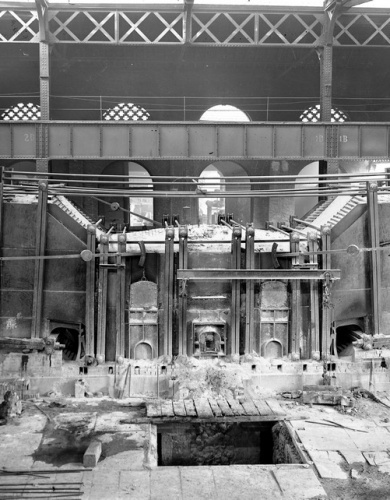 The 12,000 ton press is installed, the biggest of its time, which can forge ingots weighing 200 tons. 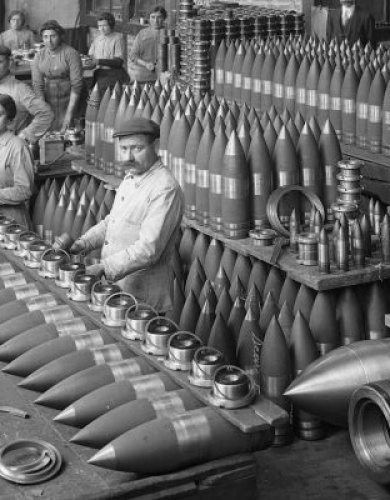 Italy enters the war and the entire industrial complex steps up production of war material, despite the difficulties in the supply of raw materialsItaly enters the war and the entire industrial complex steps up production of war material, despite the difficulties in the supply of raw materials. 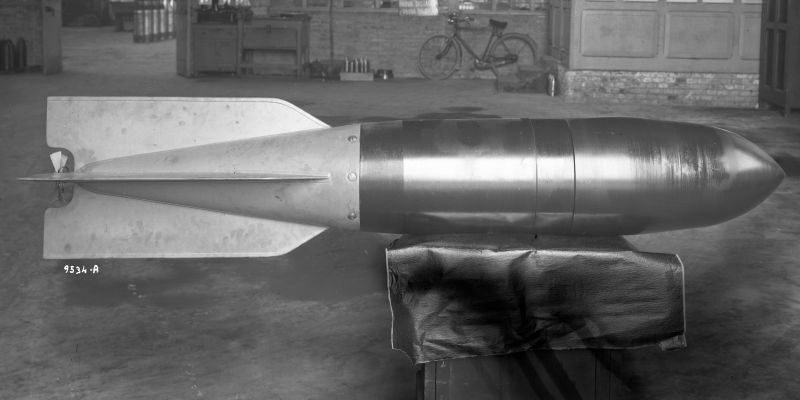 August 11, 10.29 am: the air raid by the Allied Forces on Terni begins which is bombarded 108 times. 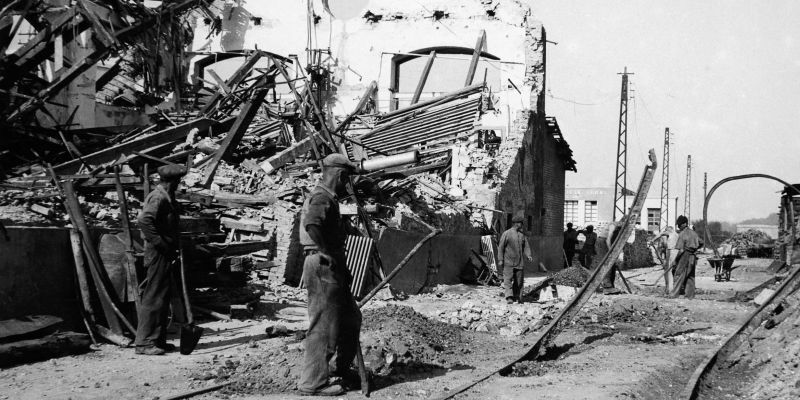 The facility incurs significant damage August 11, 10.29 am: the air raid by the Allied Forces on Terni begins which is bombarded 108 times. 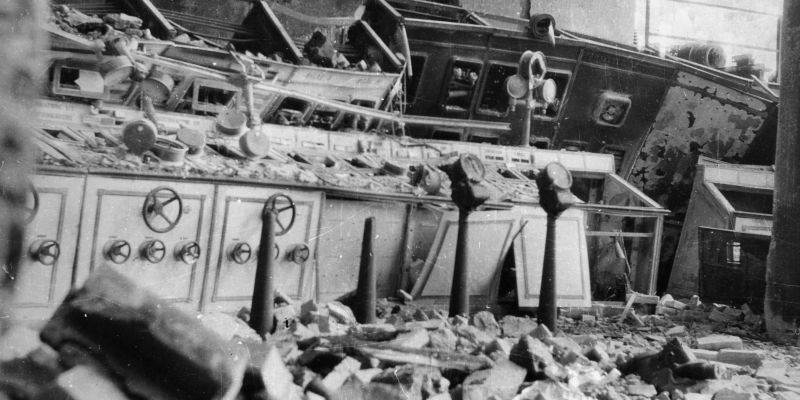 The facility incurs significant damage. 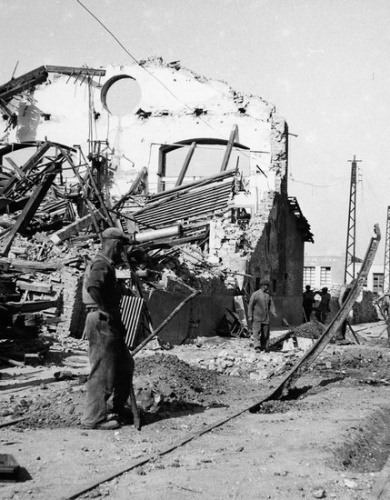 The situation deteriorates with the continual stripping of the facilities by the Armed Forces of the German Reich which brings the factory to a standstill. 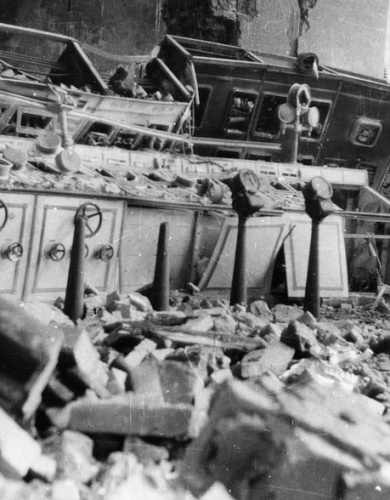 In June 1944, the retreating German troops blow up several hydroelectric plants with mines. 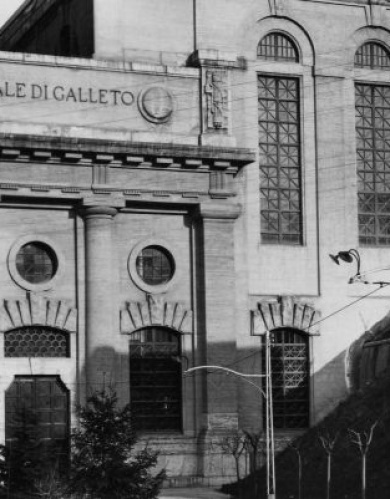 The Galleto, Papigno, Cotilia and other plants belonging to the company are severely damaged and the high-voltage power lines are put out of action. 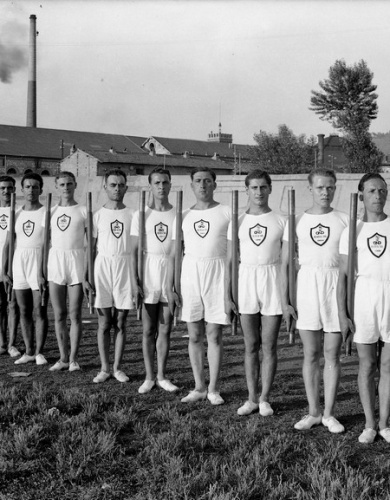 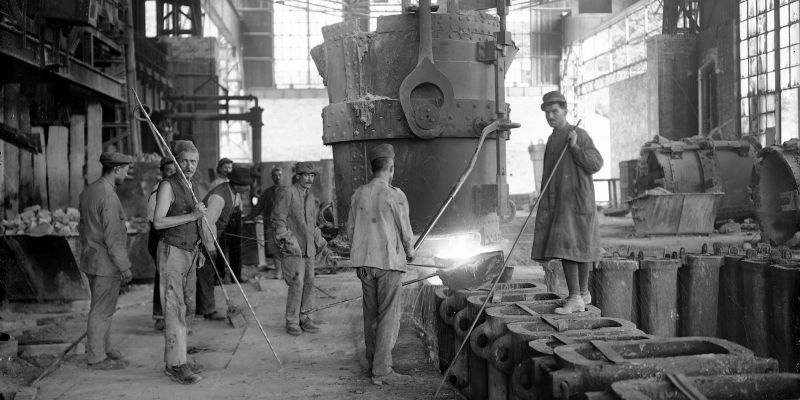 In the summer of the same year, after the city is liberated from the Germans, the company begins a programme to rebuild the plants that have been destroyed. 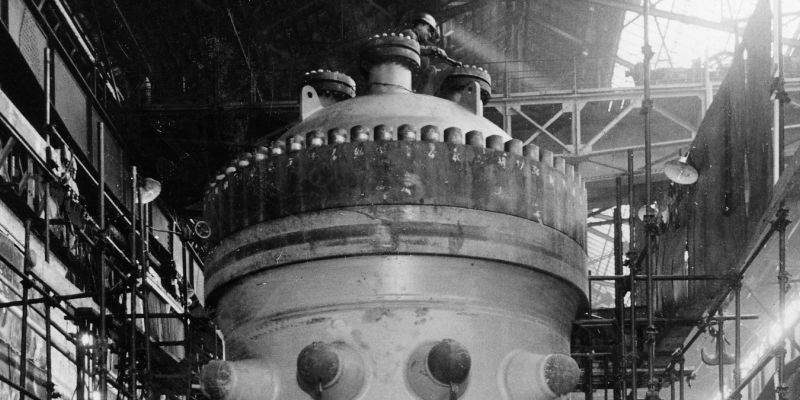 The Galleto and Papigno hydroelectric plants being production again. 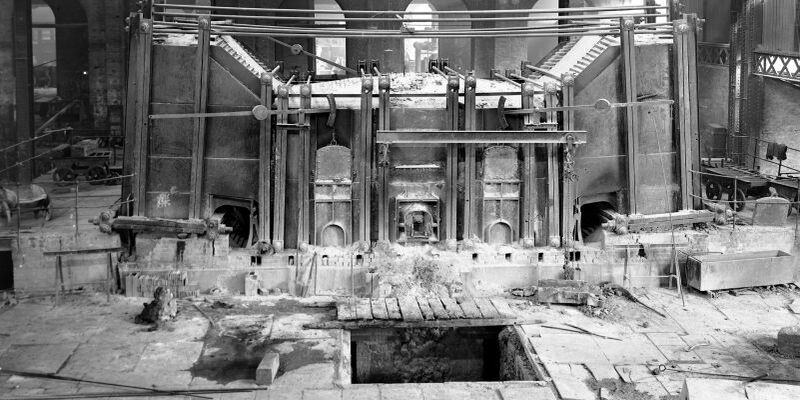 In the steelworks, the workforce works hard to repair not only the plants, but also the locomotives, carriages and railway bridges, allowing the links interrupted by the war to be reopened within a short timeThe Galleto and Papigno hydroelectric plants being production again. 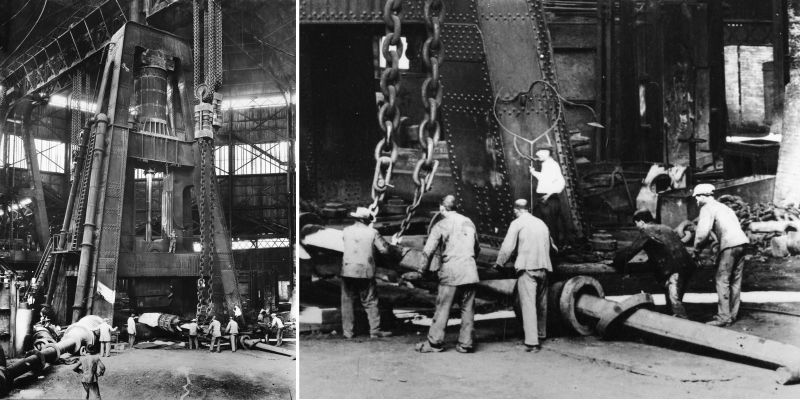 In the steelworks, the workforce works hard to repair not only the plants, but also the locomotives, carriages and railway bridges, allowing the links interrupted by the war to be reopened within a short time. 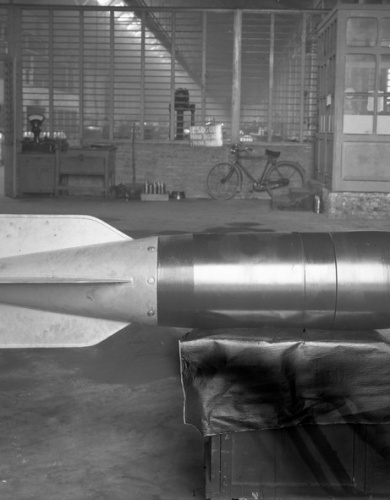 The company ceases military production and switches to special steel for civilian use. 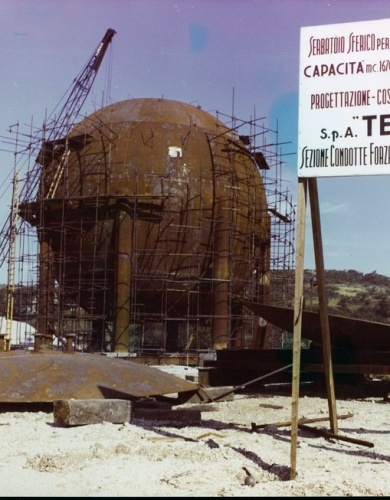 The steelworks manufactures the pressure sphere of the bathyscaphe Trieste, a pioneering vessel designed by the Swiss scientist, Auguste Piccard, to explore the ocean depths. 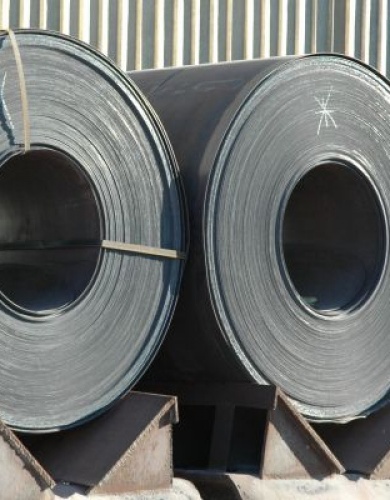 In the Finsider Plan for rebuilding the Italian steel industry, the company is awarded production of high-quality steel. 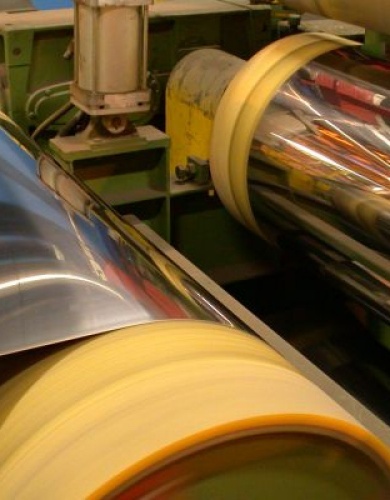 The company signs an agreement with the American company, ARMCO, obtaining a production license exclusively for Italy to manufacture cold-rolled silicon-electrical strips, either standard or grain-oriented, destined for the European market. 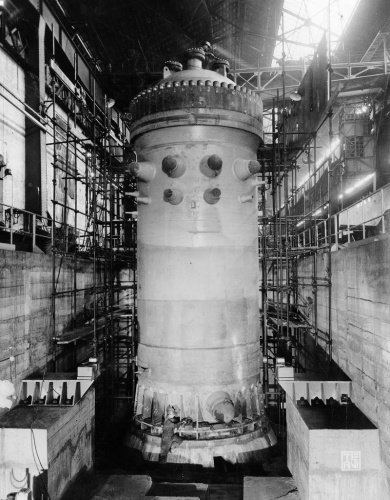 The vessel of the nuclear power plant in Garigliano is produced. 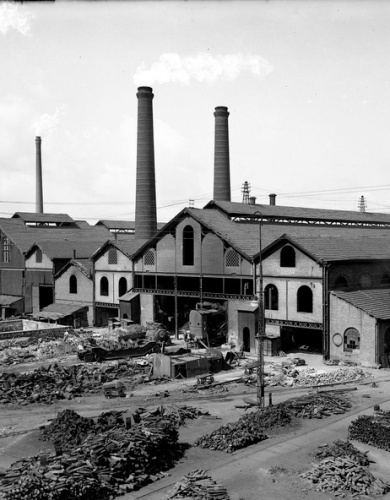 In the period from 1962 to 1967, the company ceases to be a multi-sector manufacturer with the nationalisation of the electrical and chemical industry and the forfeit of the relevant plants, focusing production on steel-mechanical processes to meet the demand from electrical power plants. 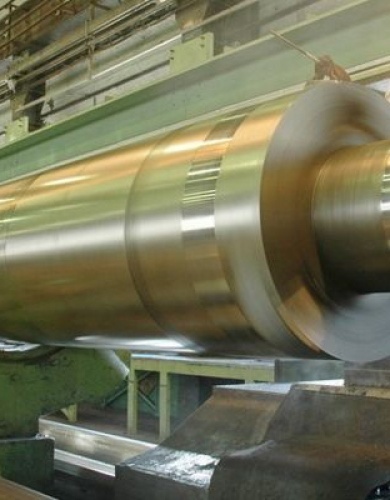 The production of low-loss steel laminations and thin, flat rolled, stainless steel products is increased. 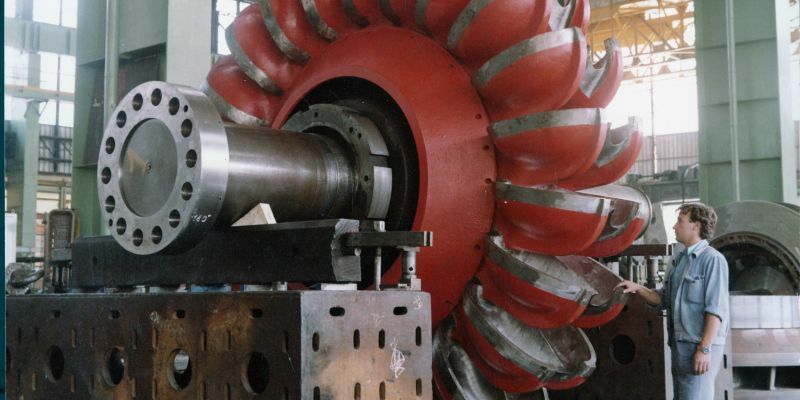 The company undertakes a major program for plant renovation and expansion of production capacity. 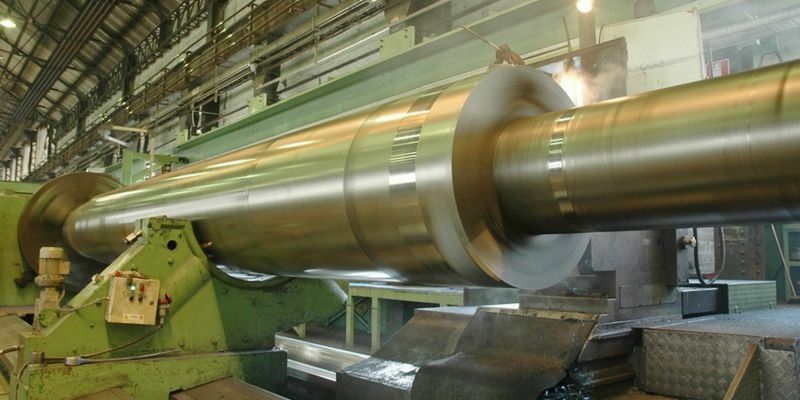 In line with the Finsider Plan, the company becomes an industry leader in the field of flat-rolled silicon and stainless steel products, castings and forgings and incorporates the facilities in Lovere and Trieste into Nuova Italsider and acquires Acciai Inox (IAI) in Turin. 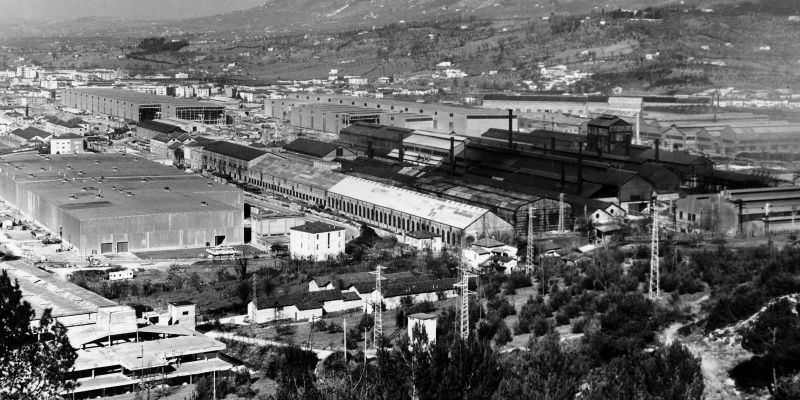 In this period, the Terni facility operates in three sectors: steelmaking for producing magnetic steel, stainless steel and steel for construction; mechanical steelmaking which operates through forging and the mechanical work shop to produce forgings; the forced flow ducts and boiler making sector. 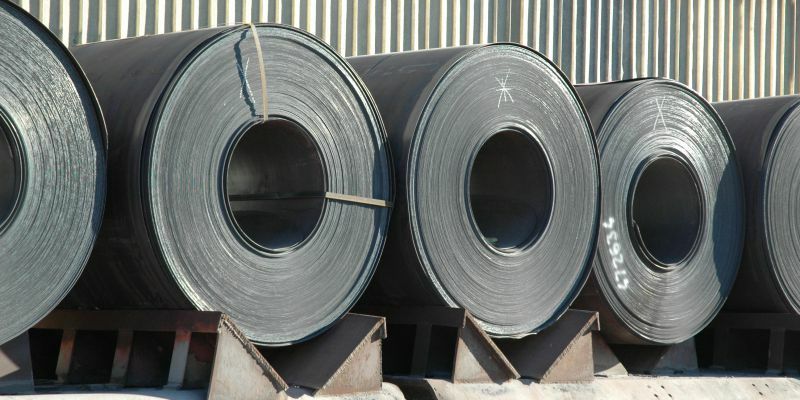 It is one of the top five steel manufacturers in the world and one of the most advanced producers of magnetic steel, leading the market in Italy. 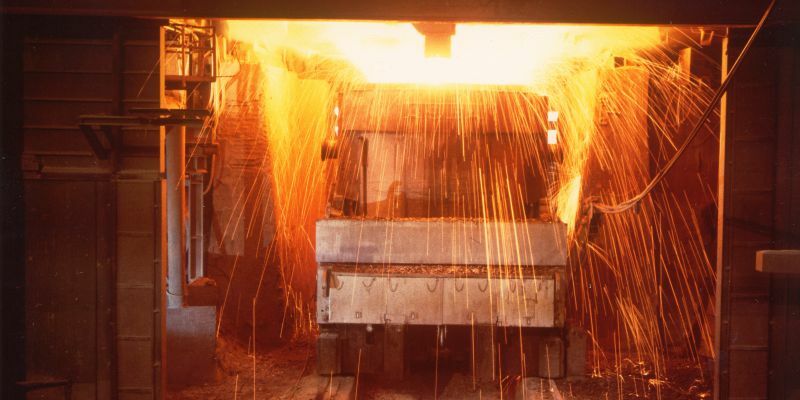 It is the only Italian manufacturer of spheroidal cast iron and fulfils the country’s requirements for foundry pig iron. 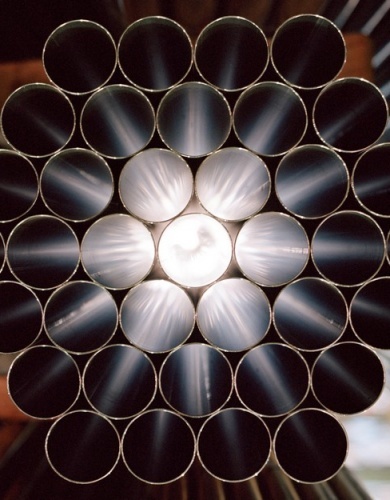 In Italy, it is the sole manufacturer of stainless steel rods for nuclear power plants. 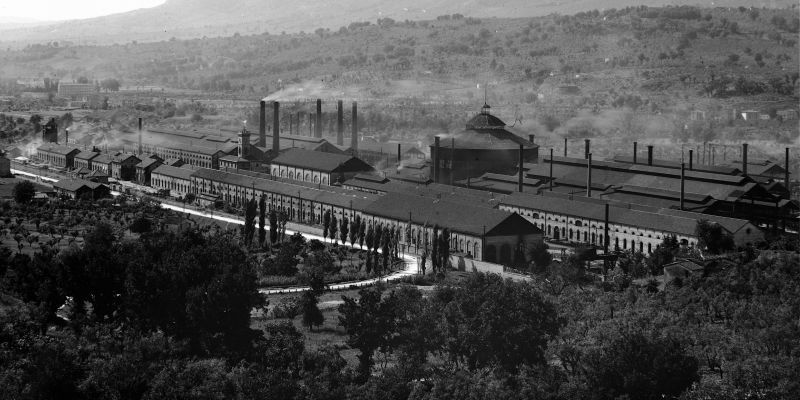 The company splits into three: Lovere Sidermeccanica Spa, Attività Industriali Triestine Spa and Terni Acciai Speciali Spa. 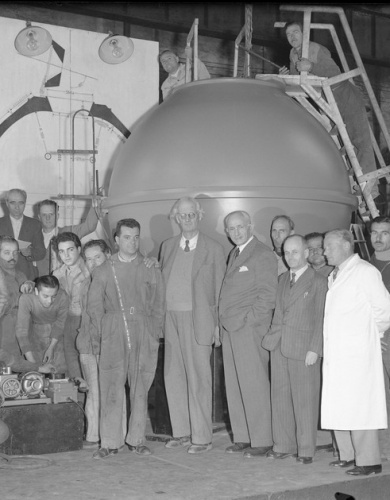 The latter is created by the merger of the facilities in Terni, Turin (IAI) and Terninoss. 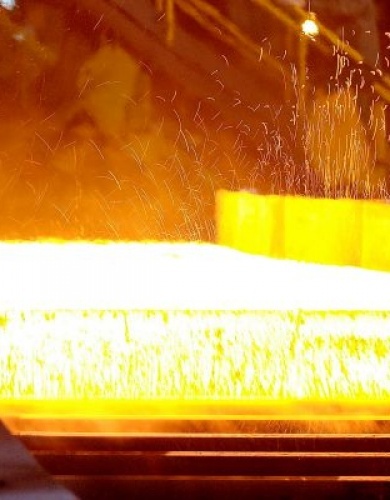 In December, as part of the redevelopment programme of Italian public steelmaking, Terni Acciai Speciali assigns its plants to ILVA (IRI Group), a multi-divisional company with government funding. 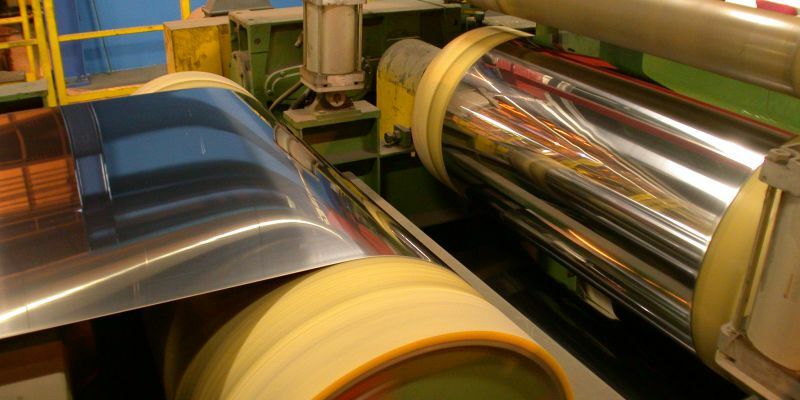 In this set-up, the company represents the Special Flat Rolled Steel Products (Laminati Piani Speciali) and its name becomes “Ilva Laminati Piani Speciali”. 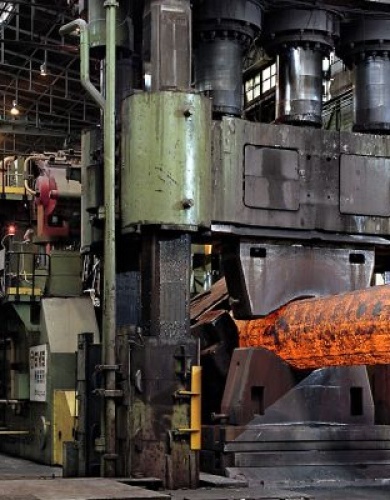 The Pipe Mill Department is founded in Terni The company is controlled by Ilva Laminati Piani Speciali Its facilities only get under way at the beginning of 1993, becoming a leader in the production of stainless pipes for the ornamental and catalytic converters market. 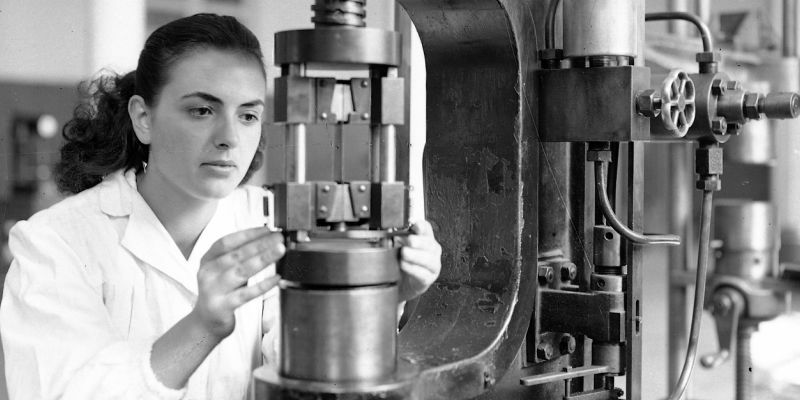 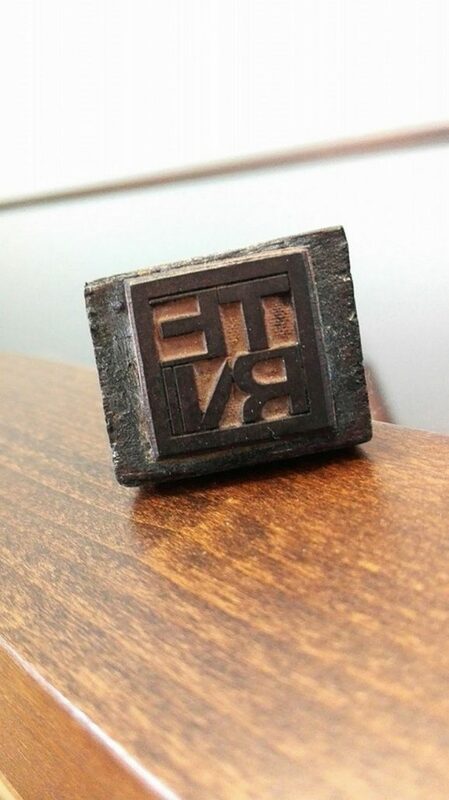 The “Società delle Fucine” is founded in Terni which was, at one time, part of Ilva Laminati Piani Speciali, specialised in the production of large industrial equipment to generate energy. 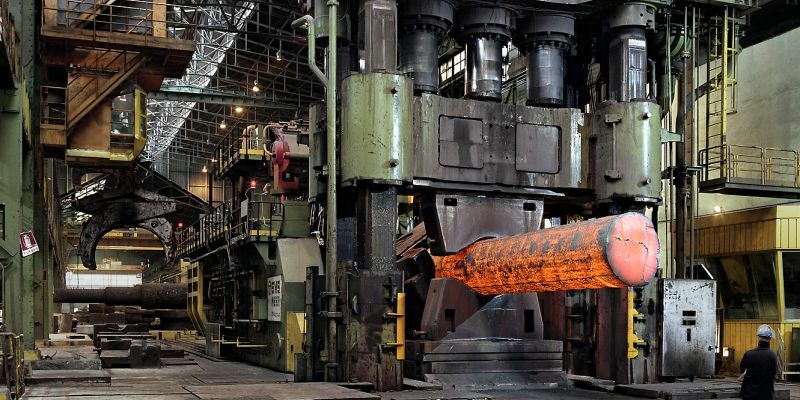 The company immediately ranks among the world leaders in the production of medium and large-size forgings. 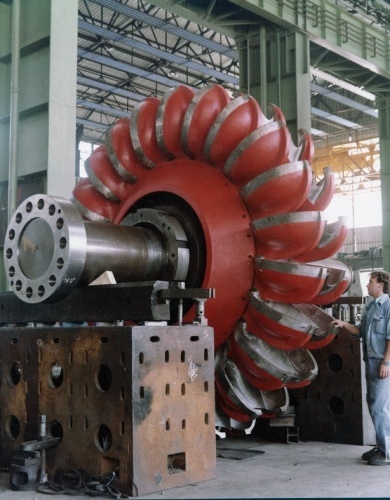 The products obtained with cutting-edge technology are destined for the energy, mechanical, chemical, aerospace and naval sectors. 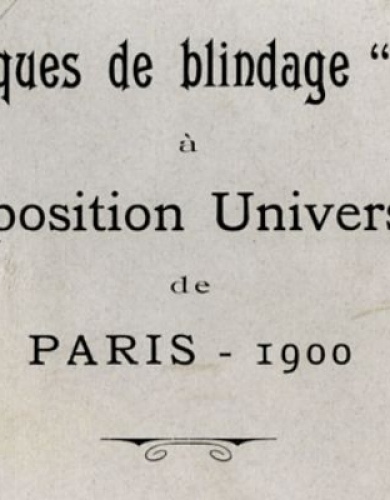 The company is fully privatised. 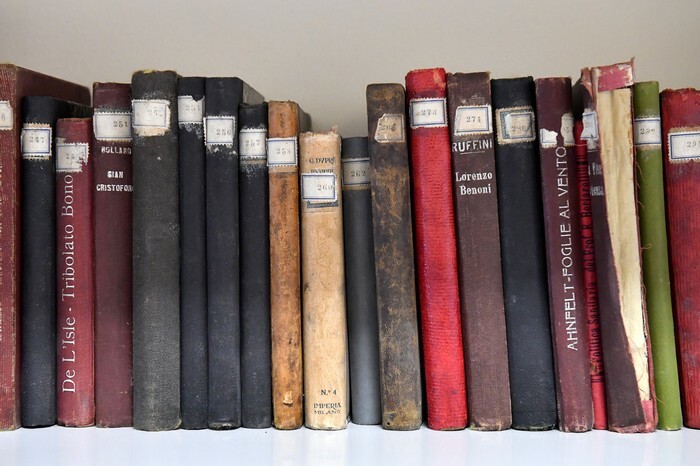 The German company Krupp, together with Falck, Agarini and Riva become owners and in 2001, after being merged with the Thyssen (Thyssenkrupp) assumes ownership of the entire shareholding. 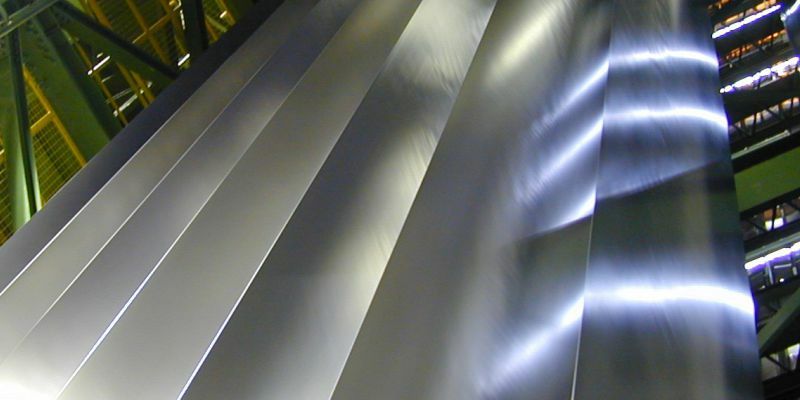 The Thyssenkrupp Group, as part of a restructuring project, introduces a new organisational structure that sees the entire stainless steel production converge into the Stainless Global business area. 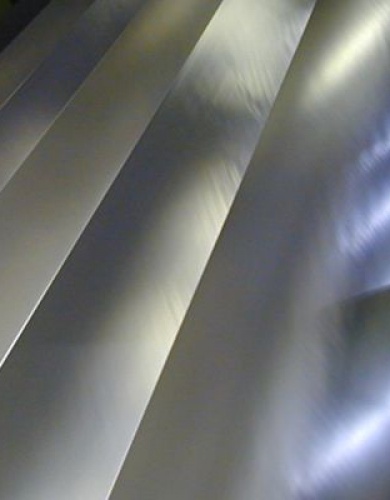 The separation of Stainless Global into an independent operation, Inoxum, is approved The separation of Stainless Global into an independent operation, Inoxum, is approved. 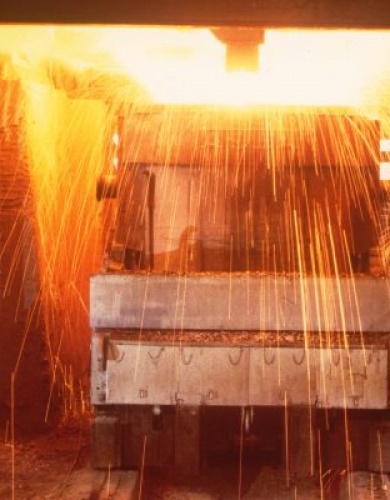 From that moment onwards, a path begins towards the separation of Inoxum from the ThyssenKrupp Group with a variety of options including the sale. 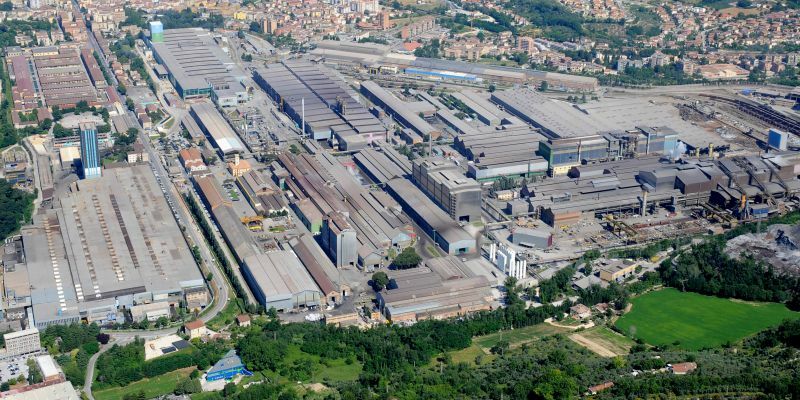 The European Commission approves acquisition of Inoxum by Outokumpu, subject, however, to the sale of the stainless steel production plants located in Terni, to prevent the creation of business enterprises with a dominant position on the European market. 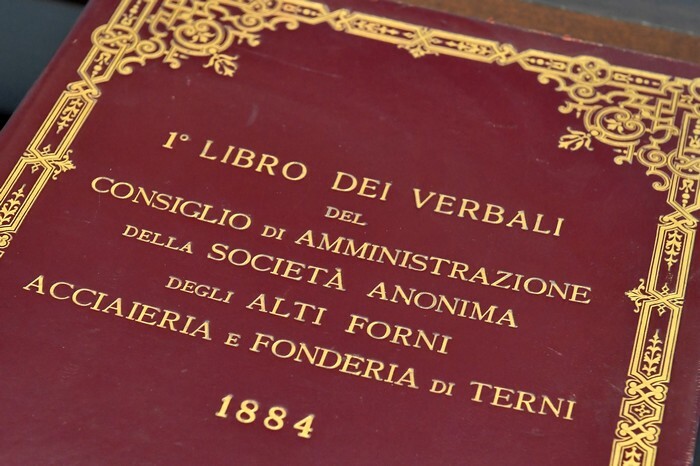 From this time onwards, in implementation of the decision of the European Antitrust Commission, the process of selling the company begins and the company’s name is changed on December 1 to Acciai Speciali Terni. 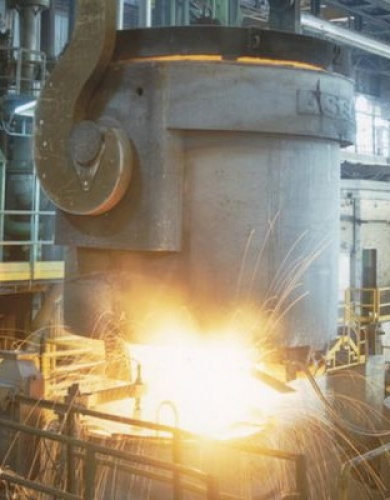 November 30: Outokumpu announces that it has signed a binding agreement with Thyssenkrupp in which the Finnish company will sell the Terni operations to the German company, as provided in the corrective action requested by the European Community. 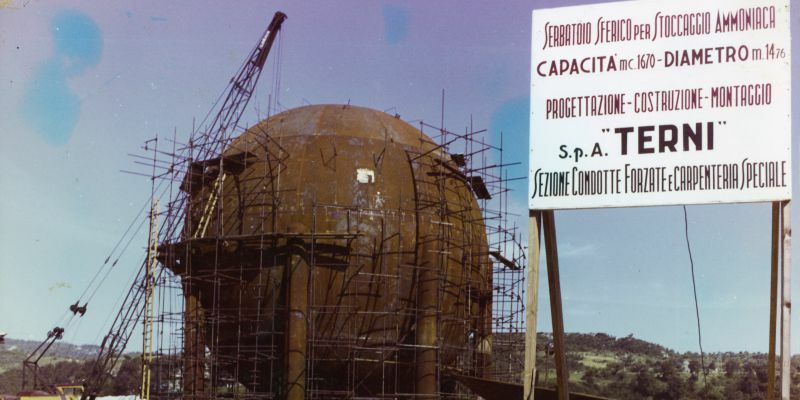 The sale includes Acciai Speciali Terni and the legal entities connected to it (Aspasiel, Società delle Fucine, Terninox and the Tubificio in Terni), as well as the service centres of Outokumpu in Germany, Spain, Turkey and France. 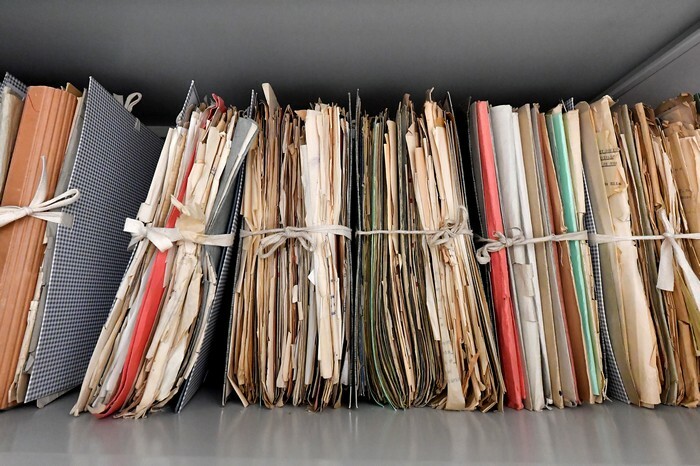 The transaction is subject to the approval of the competent authorities and to the customary closure conditions. 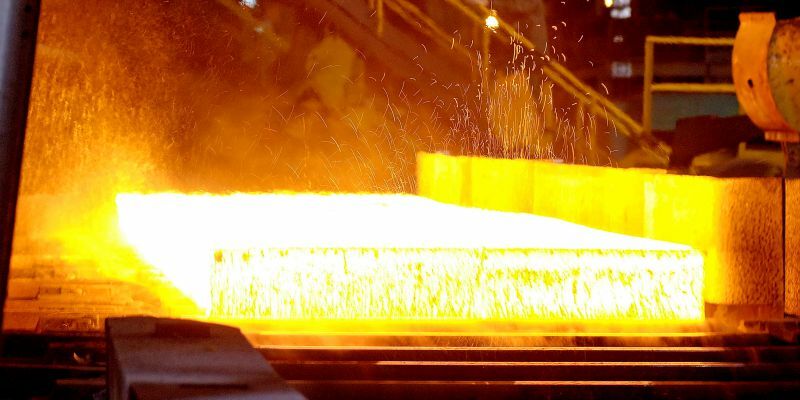 February 28: Thyssenkrupp announces that the transaction is officially completed and that Acciai Speciali Terni, with its related companies, will be integrated into the Business Area Materials Services. 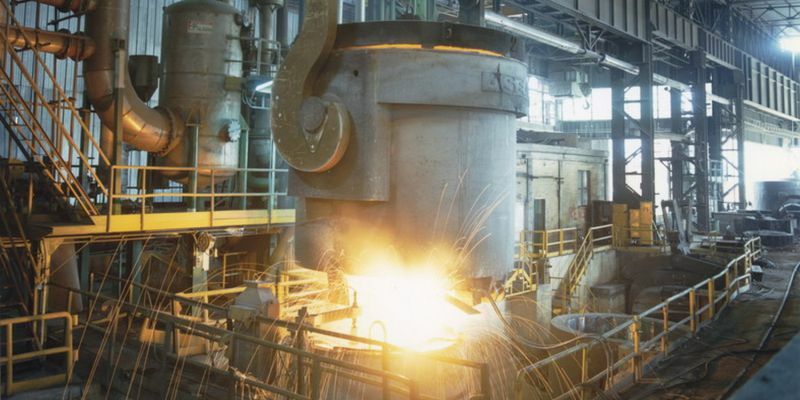 On July 17, 2014, TK AST presents the new industrial plan to the institutions and trade unions. 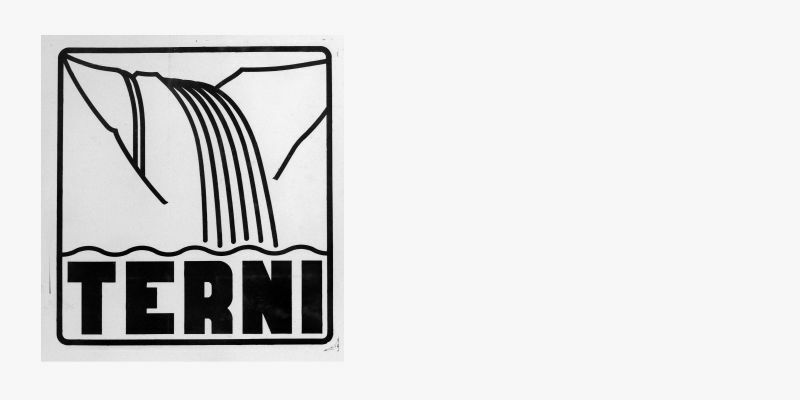 The goal is to relaunch the Terni-based company: "A global plan of action for sustainable profitability, focused on important structural improvements involving sales, production and performance". 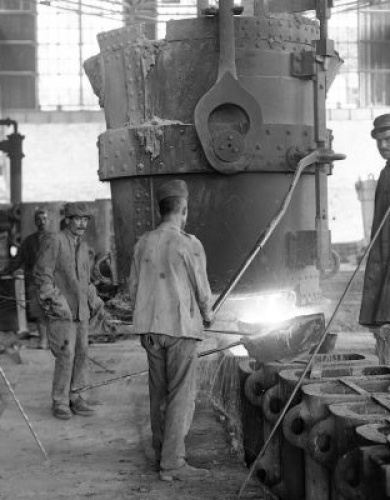 After months of trade union action, on December 3, the new industrial plan is finally signed. 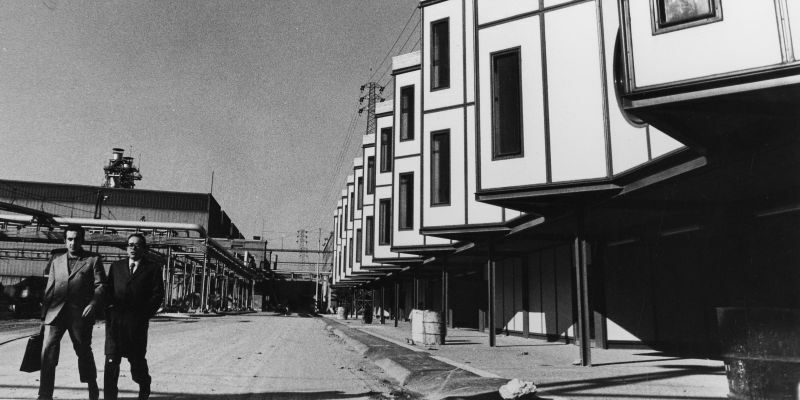 A four-year plan for relaunch and development. 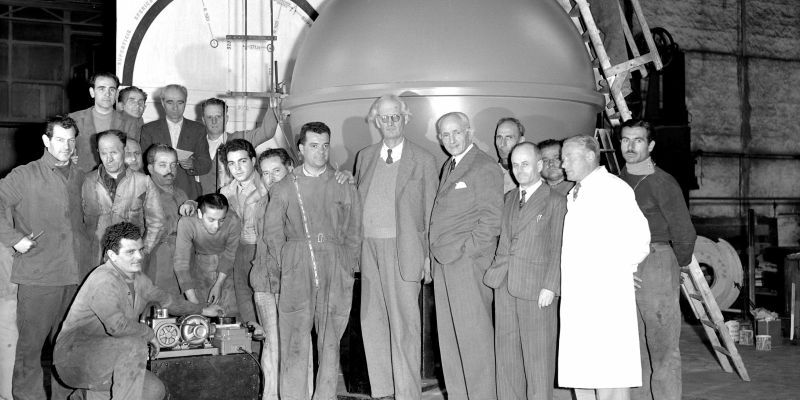 August 4: the merger to incorporate Aspasiel, Società delle Fucine and the Tubificio in Acciai Speciali Terni becomes operative. 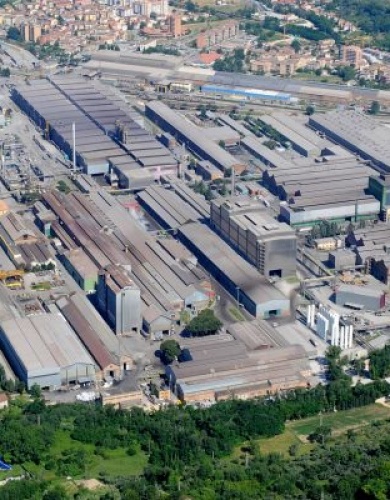 After eight years of negative financial results, Acciai Speciali Terni, has managed to close the year with a 3.3 million profit. 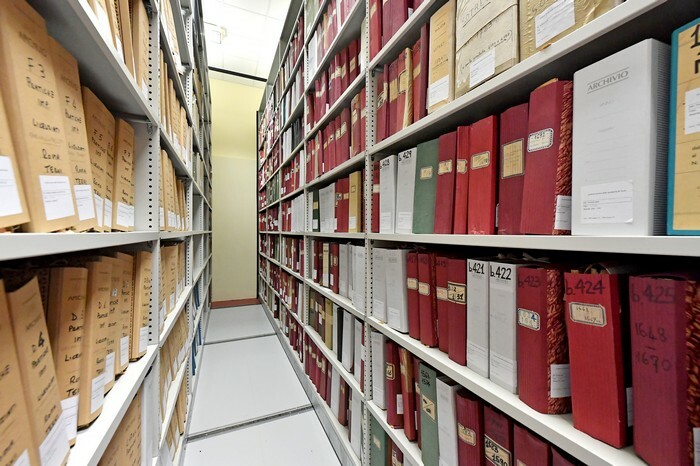 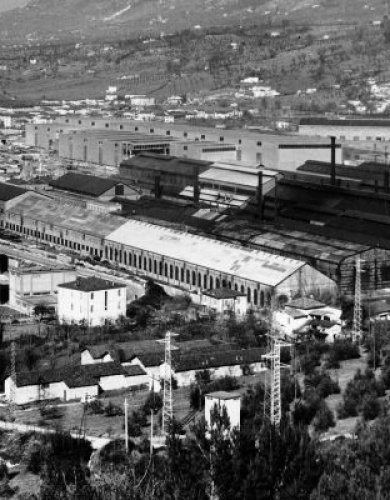 Our Historical Archive gathers all the documents produced by the steel industry founded in 1884 under the name of Società degli Alti Forni, Fonderie ed Acciaierie di Terni, which has changed its name several times to the current Acciai Speciali Terni. 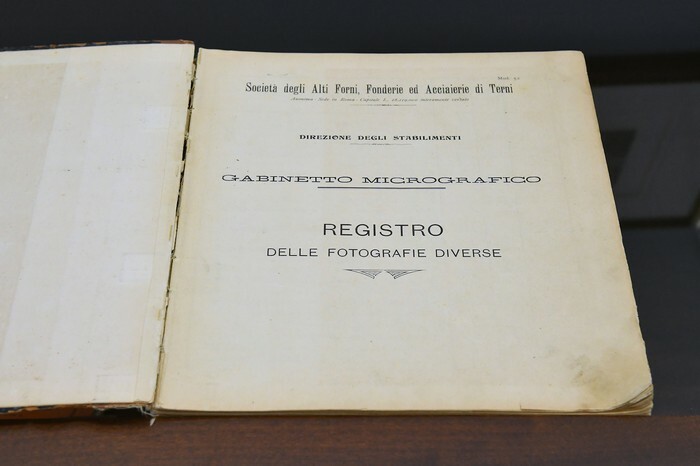 The Archive Superintendence for Umbria has declared it an archive of great historical interest because of its “absolute and upmost importance for the economic and social history of the Umbrian region and of the entire Italian nation”; the preserved material consists of paper documents, photos and videos; together they cover a period of time ranging from 1873 to the first decade of this century.